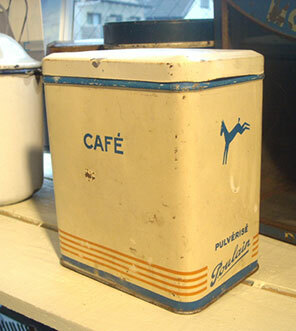 The jumping foal trademark shown on the side of the canister above is a play on the chocolatier’s surname: Poulain = “foal” in French. 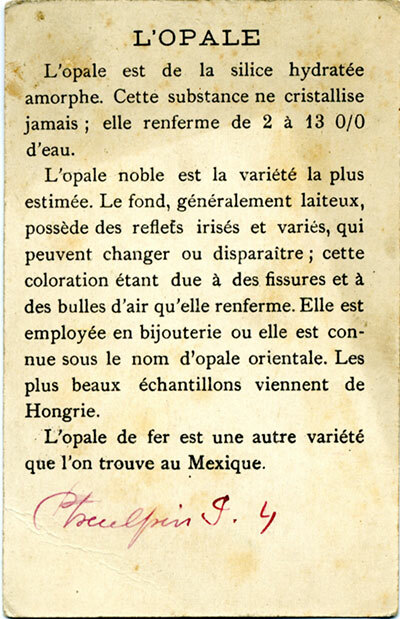 The following images are from a set of collecting cards included in packages of Poulain chocolate and products by other vendors, likely from the beginning of the twentieth century. 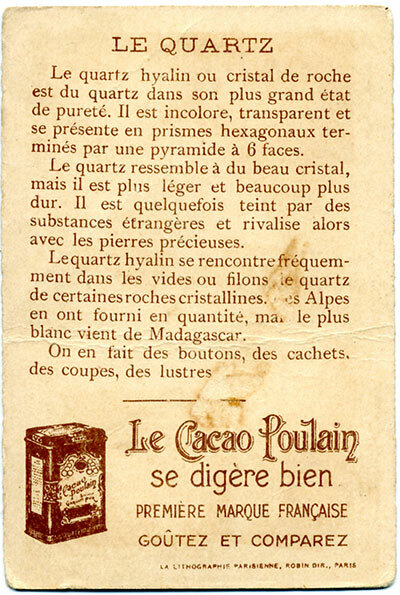 Chocolat Poulain is a French brand of eating and cooking chocolate that was founded in 1848 by Victor-Auguste Poulain. 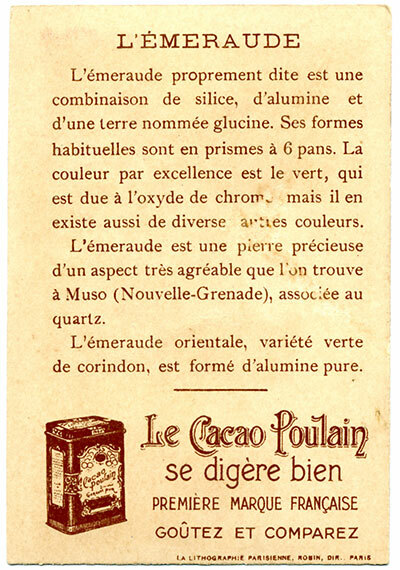 According to Wikipedia (English; French), Poulain’s marketing acumen is arguably responsible for the wide distribution of chocolate that we take for granted today. 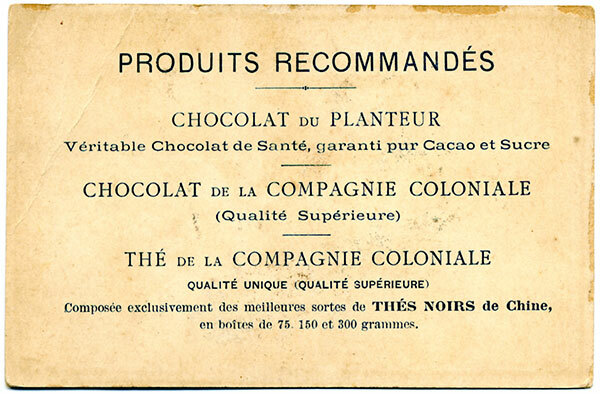 A predecessor chocolatier, Menier, originally had a different niche for his product, selling it as a pharmaceutical. 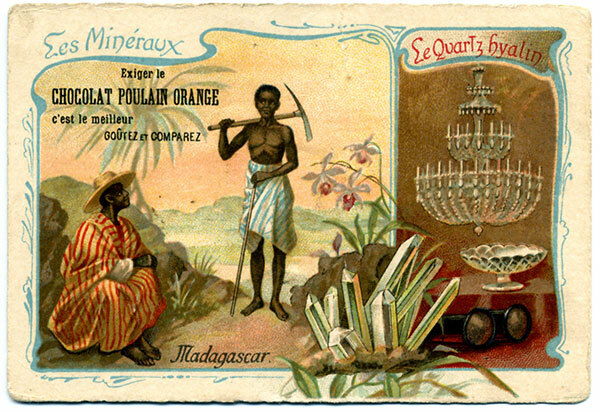 Poulain used a number of marketing devices that included the following. 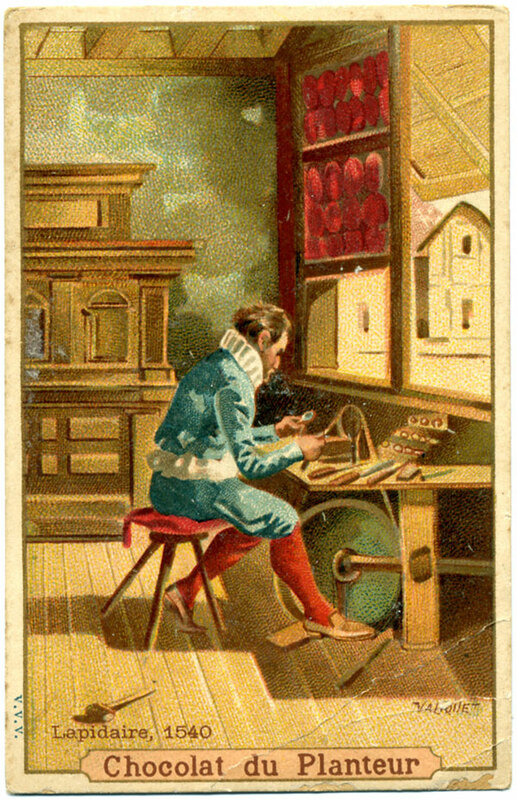 Poulain was not the only chocolatier to issue collecting cards; see Patrick Marks’s Flickr photostream for examples from Van Houten, A. Driessen (including “hold to light” cards that contained watermarks), Grootes (including alphabet and animal series), Cadbury (including “sewing cards,” which you could stitch), Korff, and many more. 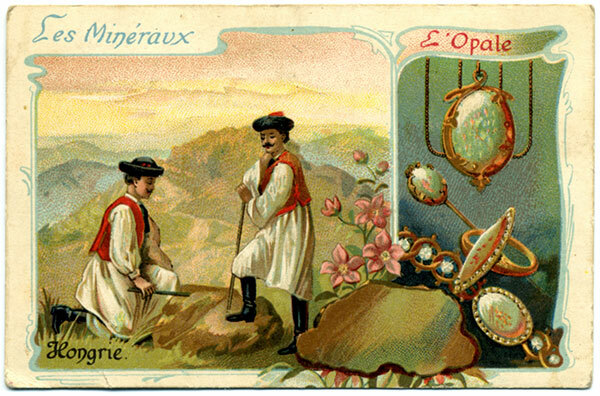 The three Poulain cards pictured here, from the set “Les Minéraux,” are printed via a lithography that gives them a soft-edged appearance. 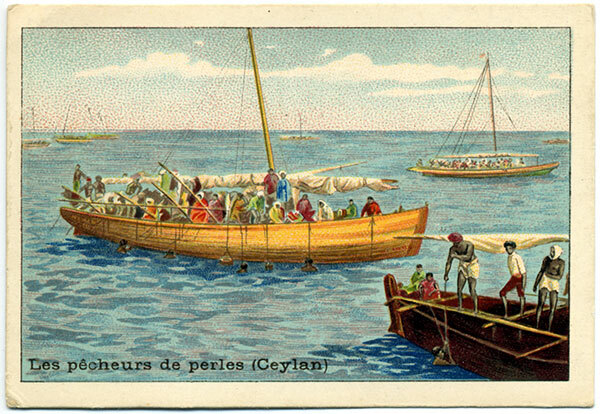 The pointillist shadings actually appear to be a halftone process. 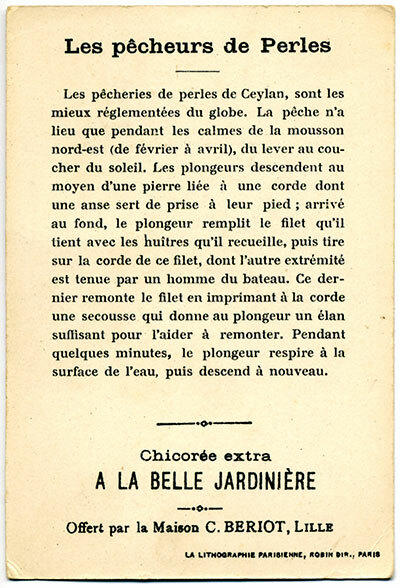 Each of the illustrations is framed by an Art Nouveau design. 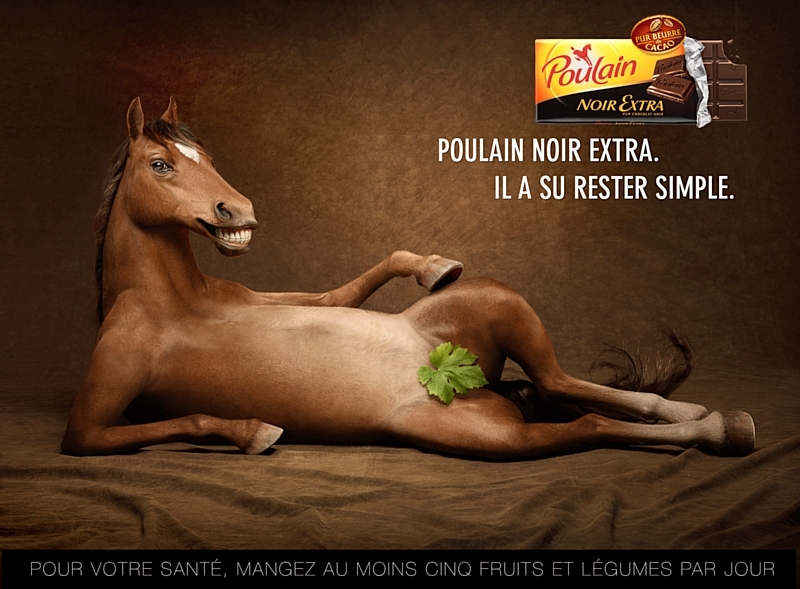 One, curiously, is altogether absent the Poulain brand. 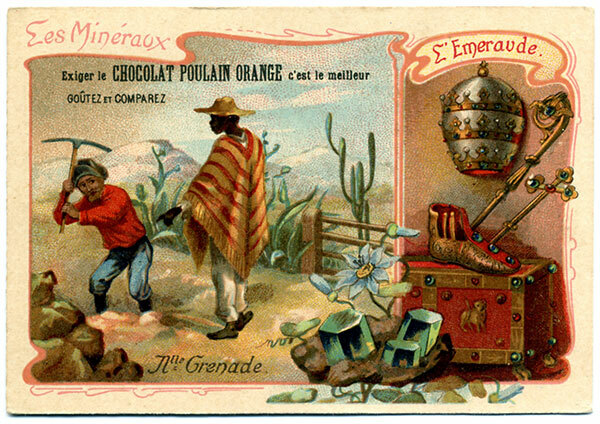 Also included here is a single card from the same lithographer employed by Poulain, promoting superior quality chicory offered by C. Beriot, of Lille; and a card issued by Compagnie Coloniale, which, like Menier played up the supposed wellness attributes of chocolate (“véritable chocolat de santé”; “real health chocolate”).